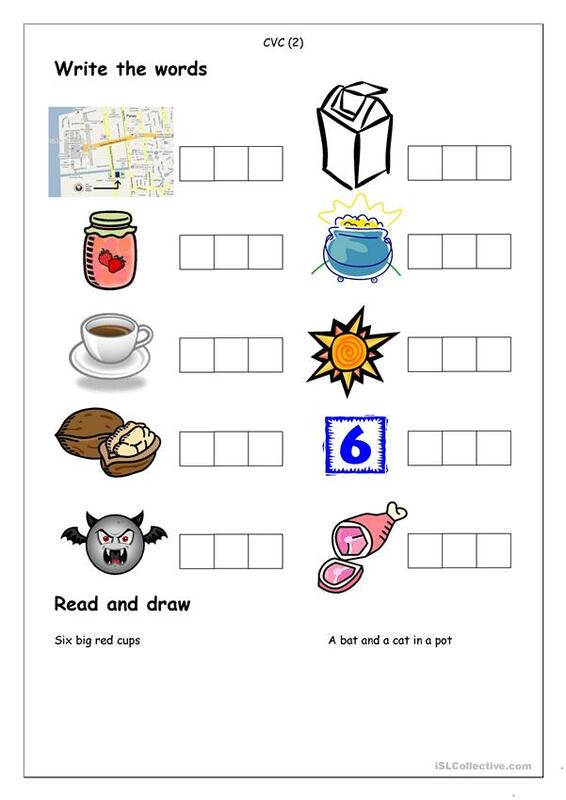 Spelling worksheet for beginners who have started reading and writing 3-letter words (CVC, consonant-vowel-consonant). The present printable, downloadable handout is a great resource for elementary school students and kindergartners and nursery school students at Beginner (pre-A1) level. It is a valuable material for developing your students' Spelling skills.